bed-or sew on cloth loops and hang like wall posters. 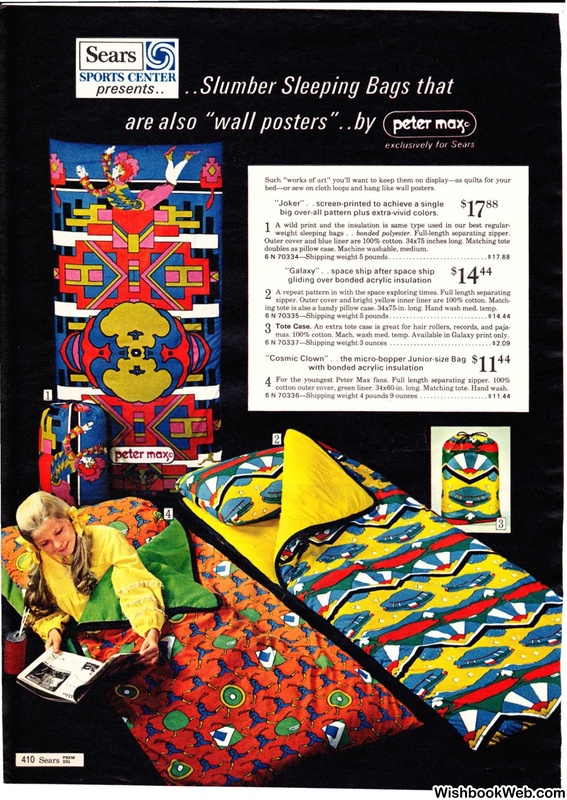 big over-all pattern plus extra-vivid colors. doubles as pillow case. Machine washable, medium. ing tote is also a handy pillow case. 34x75-in. long. Hand wash med. temp. mas. 100% cotton. Mach. wash med. temp. Available in Galaxy print only. 6 N 70337-Shipping weight 3 ounces . . . . . . . . . . . . . . . . . . .
cotton outer cover, green liner. 34x60-in. long. Matching tote. Hand wash.